Drake has promised to refund 20,000 fans after Travis Scott fell off stage at his gig at The O2 in London on Wednesday (01.02.17). 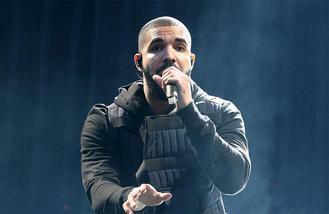 The Canadian rap star has made the generous pledge to his fans after Travis suffered the embarrassing fall while performing 'Goosebumps' on the latest leg of Drake's Boy Meets World tour. Travis, 24, tripped into a hole in the middle of the stage, damaging part of the set, and then disappeared for a short while before Drake helped him back out. Although Travis didn't appear to be seriously injured, his tumble broke a huge globe, which formed a key part of Drake's on-stage performance. Consequently, the rapper told his fans he was doing the show "for free". The 'Hotline Bling' star repeated the generous offer later in his performance, telling the crowd: "London England, I love you, I hope you enjoyed your free show." Meanwhile, Drake is rumoured to be one of a number of high profile artists who is considering snubbing this year's Grammy Awards. The 30-year-old star is said to consider the annual awards bash to have become irrelevant, especially to younger artists. Drake has received as many as eight nominations for the show on February 12, but will apparently persist with his tour rather than fly back to the US to attend the Grammys. Other big-name stars rumoured to be considering skipping the event include Justin Bieber, who has received four nominations, but reportedly intends to be somewhere else on the night as he regards the ceremony as unrepresentative. Meanwhile, it's been suggested Kanye West will also shun the Grammys in protest against perceived racism. A source recently said that the trio consider the Grammys to be "out of touch".